Product prices and availability are accurate as of 2019-04-20 10:22:02 UTC and are subject to change. Any price and availability information displayed on http://www.amazon.com/ at the time of purchase will apply to the purchase of this product. 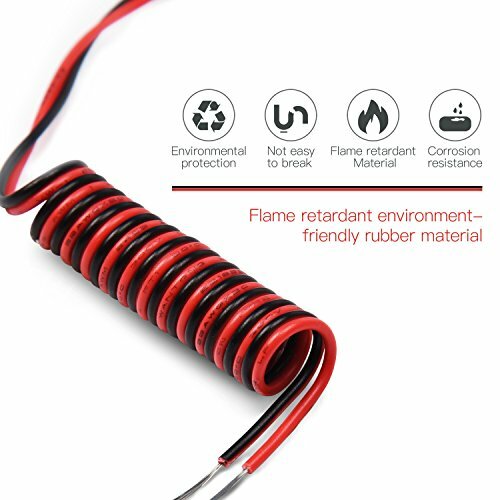 PREMIUM QUALITY: Made of tin plated copper and high quality UL PVC, features flame retardant, anti-aging, acid and alkali resistance and dampproof. 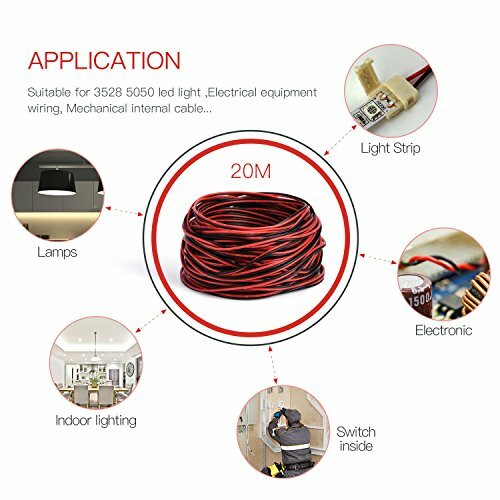 WIDE APPLICATION: Connection extension cable linkable for 3528/5050 single color led strip light 22awg. 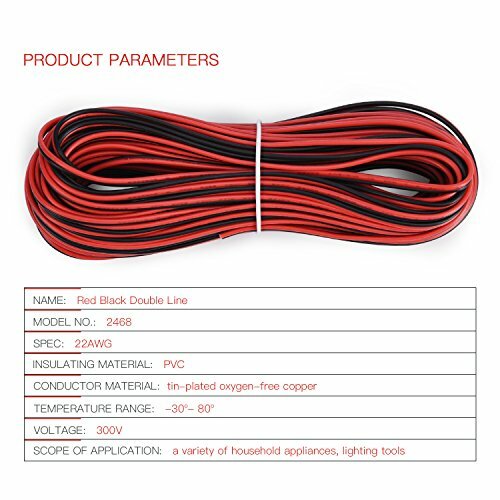 For Electronic, electrical appliance and equipment, transformer, lamps,CB Radios and motor led wire connection and other low voltage products connection. 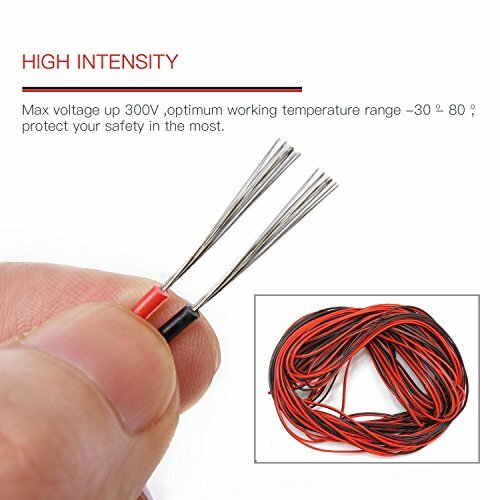 EASY&GREAT TO USE: It's easy to strip and cut.Wire specification features high conductivity, low resistance and softness, which can be twisted and extended it freely as you like. 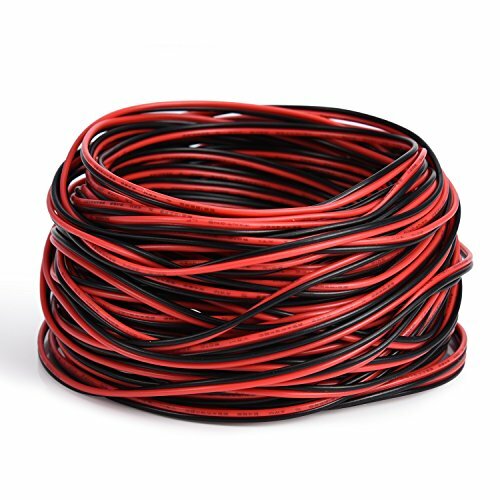 SAFETY: The PVC bush is very even, which could prevent electric leakage better than others. 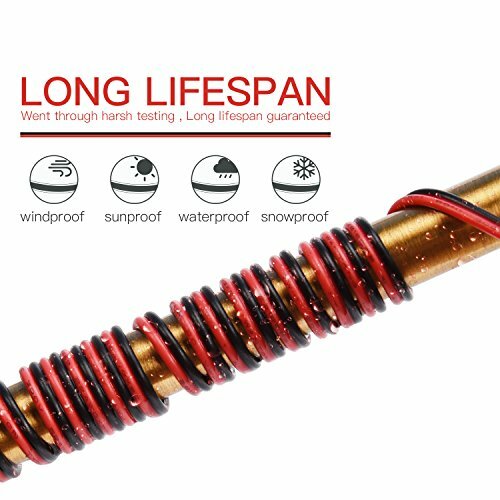 Plastic cover and copper core has high melting point,which won't melt easily. CUSTOMER SERVICE: JACKYLED Products are sold and shipped by Jackybrand. If you purchase a product from another seller, please request a refund as it is a counterfeit. JACKYLED is the only Authorized Dealer of Jackybrand products. 60 days changing or refunding without reasons.